Sharing Love and Light with the World. These are Our Gifts to you. There are 10 additional free pages to support your Extraordinary Journey. Whether you have bought "I Am Extraordinary" or are looking for coloring pages to support your positive affirmation journey, these pages are my gift to you. Thank you for using affirmations and art to focus on your self-improvement and overall well-being. This is a free/printable coloring book! 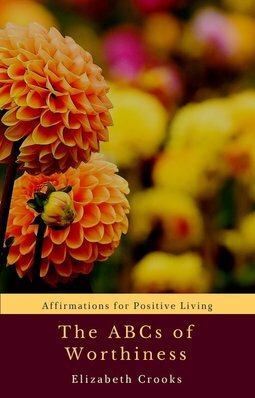 There are 20 unique affirmation pages to inspire you to see the divinity within yourself in every moment. Remember that you are Divine and you are meant to be here and shine that bright light of yours. Use this coloring book as just another tool on your journey of self-discovery. Use these affirmations of being worthy to elevate your self-worth until you know, wholeheartedly, that you are more than enough in everything that you do and everything that you are. These message frames are perfect to write yourself notes, reminders, and even affirmations. Print and color at your leisure and be sure to share these with friends and family. 7 Free Pages included in this download. Enjoy! Make 2018 your best year yet! 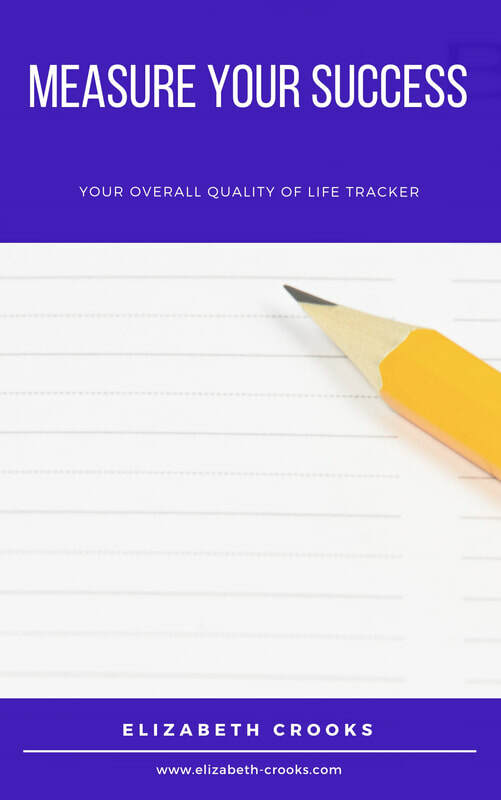 See your overall quality of life progress in real time as you color-code your daily habits in these easy-to-read charts. Visually seeing our progress, or lack there of, can help us readjust and realign ourselves with our goals and the highest vision for our lives in the moment. Use these charts to track your progress, and thus track your success, each and every day. Be honest with yourself as this is your life. See what you are doing to move you closer to your goals, and see what changes need to be made to your routine to keep you on track with your dreams. 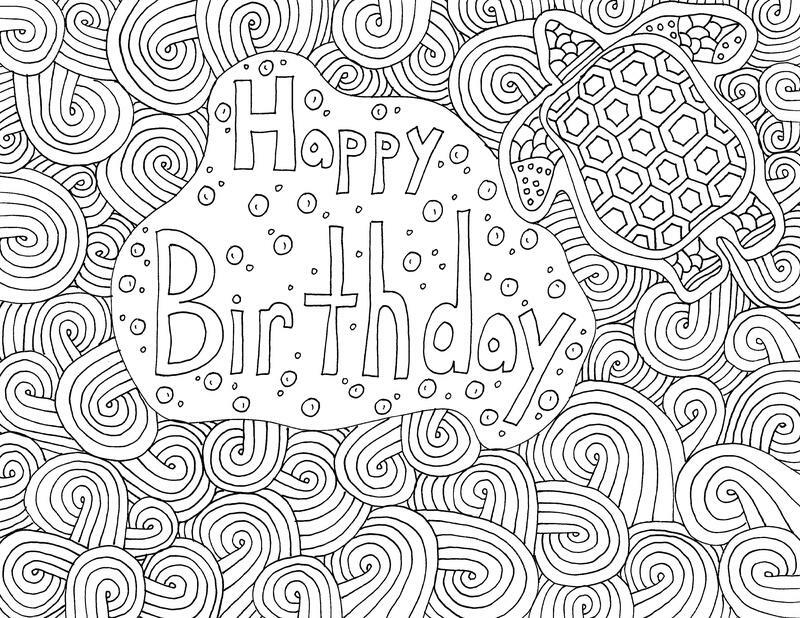 ​For my (Liz's) 31st birthday I drew out 6 different zentangled 'Happy Birthday' pages to color and I want to share these with you for free! Just download the PDF and print and color at your leisure. You can share these with all the people in your life celebrating a birthday and send them some zentangled love. Whether you are thinking of buying the “I Am Loved,” "I Am Loved, Too" and "I Am Loved, Always" coloring books or you’ve bought them already and are looking for your free bonus downloads, this is my gift to you! Please download, print and color at your leisure. And feel free to share these with your friends and family as well. Everyone benefits from coloring as a relaxing, meditative activity that boosts creativity and overall fun and happiness. 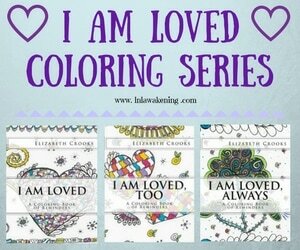 Please check out the full “I Am Loved: A Coloring Book of Reminders,” "I Am Loved, Too: A Coloring Book of Reminders" and "I Am Loved, Always: A Coloring Book of Reminders" ​for additional, unique reminders and to continue your coloring journey. Volumes 1,2 & 3 Available Now! ​Excite your imagination and inspire your day-to-day life with words and colorful images that are positive and purposeful. What we see, hear, and experience every day tends to influence our thoughts, feelings, actions, and overall reality. Make those words, phrases, sights, and feelings as positive as possible by coloring and posting awesome messages to yourself around your room, house, etc. You can even create your own reminders throughout the day with little notes to yourself, by setting alarms on your phone to remind you how awesome you are, and writing on your bathroom mirror (with non-permanent markers of course), among other things….get creative! This is your world, your reality, so make it the best one possible by giving yourself better messages full of love, inspiration and things that make you smile. IN-JOY reminding yourself about something awesome, positive, and loving. This 14-page mini-eBook is a result of a powerful self-reflection session where I discovered that I had been self-sabotaging every good thing that had happened to me for the past twenty-some years. Why would anyone do this to themselves? Because I lacked the self-worth to realize that I deserved those good things. I felt unworthy of all good things in general. I pushed away people in an attempt to “protect” them from me. Because I had very little self-esteem I thought they deserved better...and I was trying to save them….but in the end only ended up hurting myself. And from that very powerful self-reflection session, the ABCs of Worthiness was born as a reminder to not just myself, but to everyone who struggles with their own self-worth. The higher heart chakra, also known as the thymus, rests midway between your heart and your throat, just below where your collarbones meet in the center of your upper chest. 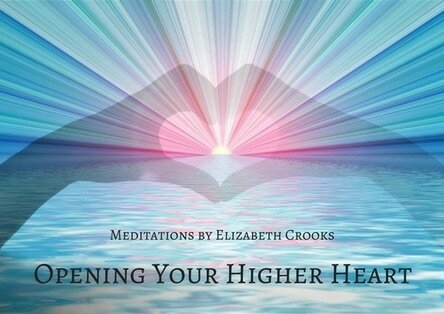 The higher heart is the center of higher consciousness, the connection to Source and all that is. Being between the heart and the throat, the higher heart has aspects of both as we learn to love and communicate as that love. In this meditation you will be guided to expand the energy of your higher heart, and thus expand your connectivity to the universe as you become the master of your reality and creator of your life once again. More Free Stuff is in the works!